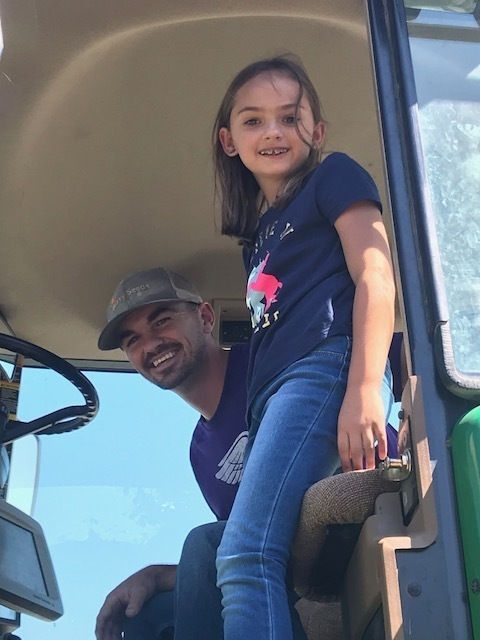 Third grade students kicked off their project based learning on Monday Sept. 10 with a visit from local Ag Hero, Tyler Crosson. Tyler brought one of his tractors to show the class. Each student had the opportunity to get in the cab and get a view from the operator's seat. Mr. Crosson also brought samples of crops, such as sunflower, milo, soybeans, alfalfa and wheat and briefly talked about each crop. He told about the history of farming in his family dating back to his great, great grandfather. 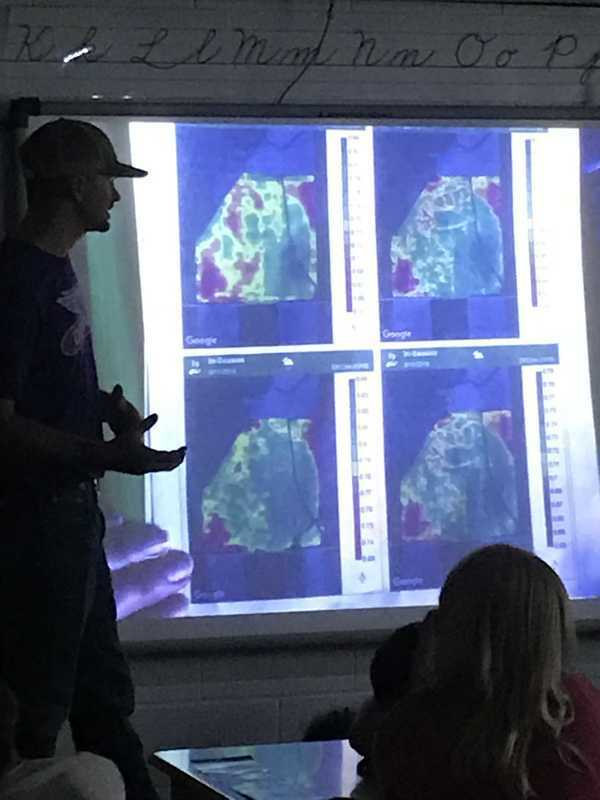 Students also observed first hand how the latest technology assists the farming profession.